The property was developed before the U.S. entered World War I in 1914, then the next mention of the property in mining literature was in “Mineral Resources of Inyo County,” by W. B. Tucker in California Journal of Mines and Geology, Volume 34, No. 4, 1938. The Victor group consists of 13 patented lode mining claims - 243 acres - located 30 miles E. of Big Pine, California, in Section 10 and portions of Sections 9, 15, and 16, Township 8 South, Range 37 East MDM. Tungsten was mined in 1951 by my father, and property has been in my family or family companies since. In 1951, 100 tons of tungsten-copper ore was removed from the site and sold. Further, it is reported that shortly thereafter another 400 tons of this ore was mined and sold. It reportedly contained ten pounds of tungsten per ton of ore. 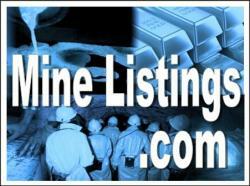 This is an exploration property which may be a commercial grade tungsten property. Recent assay results (2008) shows the property has a significant potential to host economic tungsten and copper. Samples which have elevated tungsten values also have significant copper values, up to 5.48%, with elevated uranium and molybdenum values and anomalous gold and silver. My father acquired the property over 60 years ago, and apart from my father mining it in 1951 I've just been sitting on it. This is an investment opportunity for private individual or for company gathering natural resources properties in the politically-stable U.S.